As we reach for the Xanax, we might recall that it was on this date in 1945 that Ezra Pound was turned over to the American Army by surrendering Italian forces; Pound, who’d been branded a traitor, was transferred back to the U.S., and committed to St. Elizabeth’s Hospital for the Criminally Insane in Washington, D.C., where he was imprisoned for 13 years. A poet who was a major figure of the early modernist movement, Pound was the developer of the “Imagist” school, and the “godfather” of a number of now-well-known contemporaries– among them, T. S. Eliot, James Joyce, Robert Frost, and Ernest Hemingway. He was responsible for the 1915 publication of Eliot’s “The Love Song of J. Alfred Prufrock” and the serialization from 1918 of Joyce’s Ulysses. Deeply troubled by the carnage of World War I, Pound moved to Paris, then to Italy in the 1920s, and embraced the fascism of Benito Mussolini, whose policies he vocally supported. While in Army custody, he began work on sections of The Cantos– that became known as The Pisan Cantos (1948)– for which he was awarded the Bollingen Prize in 1949 by the Library of Congress… igniting an enormous controversy. His release in 1958 was the result of a campaign by writers including Archibald MacLeish, William Carlos Williams, and Hemingway. Pound, who was believed to be suffering dementia, returned to Italy. 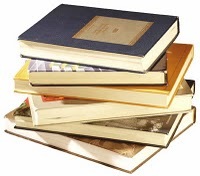 The best of Pound’s writing – and it is in the Cantos – will last as long as there is any literature. In 1995, as part of the Walt Disney Company Presents series (that was hosted by Michael Eisner, doing his not-very-successful best to channel Walt), Disney aired “Alien Encounters.” A documentary that opens with footage of “an actual spacecraft from another world, piloted by alien intelligence,” and the pronouncement that “intelligent life from distant galaxies is now attempting to make open contact with the human race,” it only aired once. 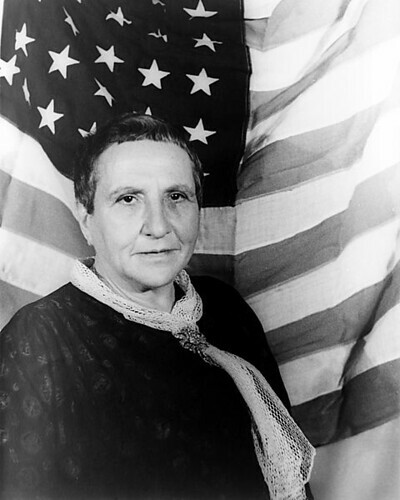 As we look to the skies, we might spare a thought for Gertrude Stein; she died on this date in 1946. An American ex-pat, Stein was an author, poet, and memoirist (The Autobiography of Alice B. Toklas). But she was probably most impactful and is best remembered as a hostess and mentor to a generation of writers (e.g., Hemingway,described her salon in A Moveable Feast) and artists (e.g., Picasso) in Paris, where– “the mother of us all”**– she held court for forty years. ** The Mother of Us All was the title of a Virgil Thomson opera for which Stein wrote the libretto. And while the subject of the opera, Susan B. Anthony, certainly deserves the epithet, so, many have observed, did its author. Beowulf, the oldest surviving epic in British literature, exists in only one manuscript– a copy that survived both the wholesale destruction of religious artifacts during the dissolution of the monasteries by Henry VIII and a disastrous fire which destroyed the library of Sir Robert Bruce Cotton (1571-1631). The 3182-line poem, now housed in the British Library, still bears the scars of the fire, visible at the upper left corner of the photograph above. Beowulf was written in Old English (or Anglo-Saxon) between 650 and 1000 in what we now know as England. It recalls a golden age of valor and martial prowess via the adventures of a great Swedish warrior of the sixth century- Beowulf– who comes to the aid of the beleaguered Danes, saving them from the ravages of the monster Grendel and his mother. In old age, and after many years of rule in his own country, Beowulf dies in the processof heroically slaying a dragon. 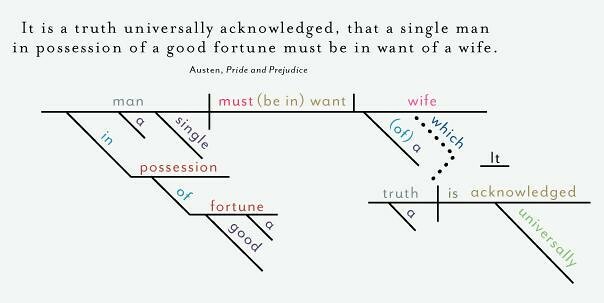 A great many translations are available, in both poetry and prose. 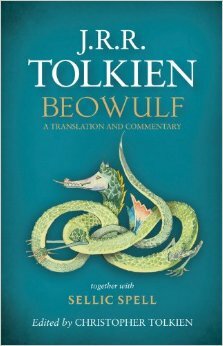 In his A Critical Companion to Beowulf, Andy Orchard lists 33 “representative” translations in his bibliography; it has been translated into at least 23 other languages. Probably the best-known (and best-loved) current version is Seamus Heaney’s verse translation. But surely the most-anticipated version is the translation completed in 1926– but never published– by J.R.R. Tolkein. Tolkien’s academic work on the epic was second to none in its day; his 1936 paper “Beowulf: The Monsters and the Critics” is still well worth reading, not only as an introduction to the poem, but also because it decisively changed the direction and emphasis of Beowulf scholarship. Up to that point it had been used as a quarry of linguistic, historical and archaeological detail, as it is thought to preserve the oral traditions passed down through generations by the Anglo-Saxon bards who sang in halls such as the one at Rendlesham in Suffolk, now argued to be the home of the king buried at Sutton Hoo.Beowulf gives a rich picture of life as lived by the warrior and royal classes in the Anglo-Saxon era in England and, because it is set in Sweden and Denmark, also in the period before the Angles, Saxons and Jutes arrived on these shores. And, on top of the story of Beowulf and his battles, it carries fragments of even older stories, now lost. 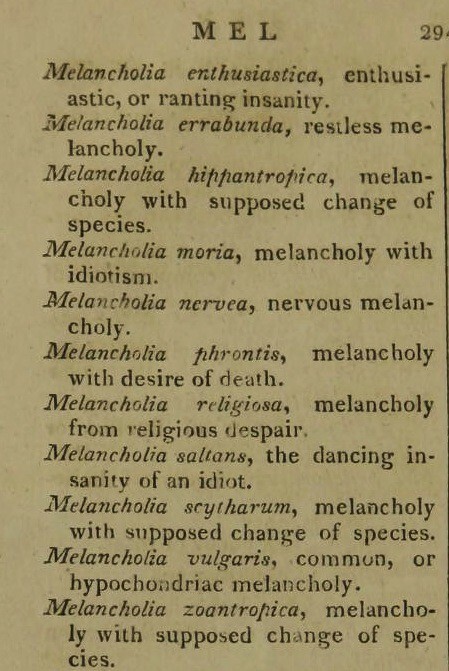 But in order to study all these details, academics dismissed as childish nonsense the fantastical elements such as Grendel the monster of the fens, his even more monstrous mother and the dragon that fatally wounds him at the end. And pre-order the translation (with a bonus story by Tolkein), available late next month, here. 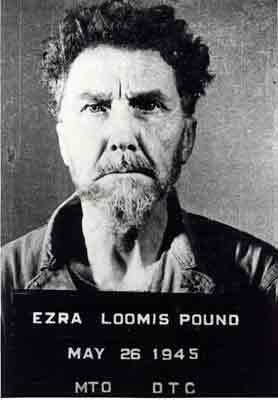 As we grapple with our Grendels, we might recall that it was on this date in 1958 that Ezra Pound should no longer be held at St. Elizabeth’s Hospital for the criminally insane in Washington, D.C. Pound has been imprisoned for 13 years, following his arrest in Italy during World War II on charges of treason. Pound, a poet who was a major figure of the early modernist movement, was the developer of the “Imagist” school, and the “godfather” of a number of now-well-known contemporaries– among them, T. S. Eliot, James Joyce, Robert Frost and Ernest Hemingway. He was responsible for the 1915 publication of Eliot’s “The Love Song of J. Alfred Prufrock” and the serialization from 1918 of Joyce’s Ulysses. Deeply troubled by the carnage of World War I, Pound moved to Paris, then to Italy, and embraced the fascism of Benito Mussolini, whose policies he vocally supported; he was arrested by American forces in Italy in 1945. While in custody in Italy, he had begun work on sections of The Cantos that became known as The Pisan Cantos (1948), for which he was awarded the Bollingen Prize in 1949 by the Library of Congress… setting off an enormous controversy. 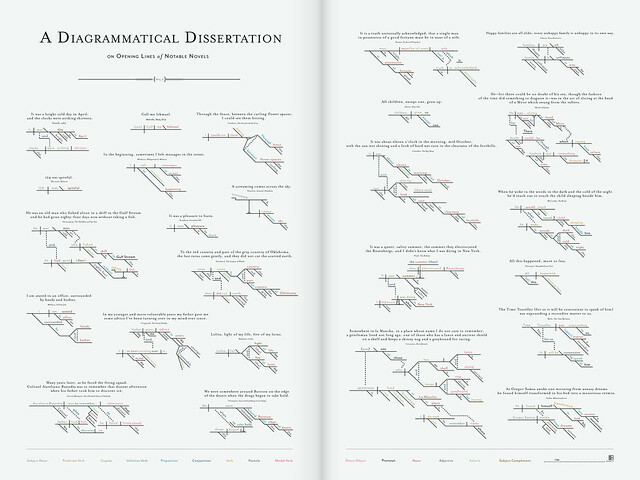 Explore “A Diagrammatical Dissertation on Opening Lines of Notable Novels” at Pop Chart Lab. 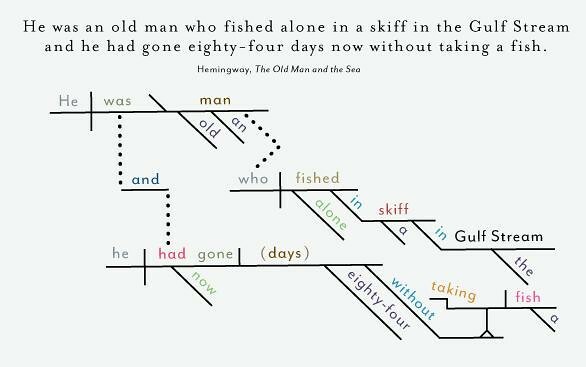 As we analyze our way to an appreciation of the classics, we might recall that it was on this date in 1952 that Ernest Hemingway completed his short novel The Old Man and the Sea. He believed it to be the best writing he had ever done. The critics agreed: the book won the Pulitzer Prize in 1953, and became one of his bestselling works. 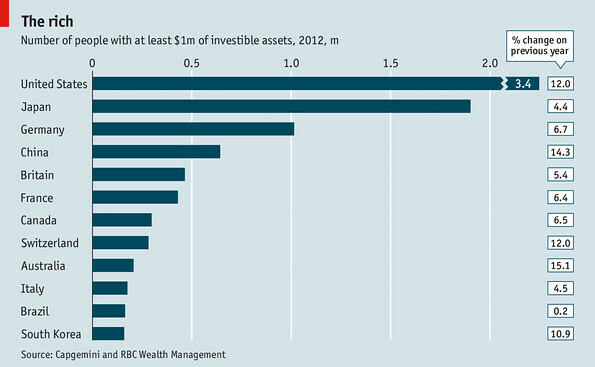 Last year 12m people in the world had $1m or more in investible assets. That is 1m more “high-net-worth individuals” than in 2011. After falling in two of the previous five years, their combined wealth increased by 10% in 2012 to a record $46.2 trillion. America, home to 3.4m very rich folk, Japan (1.9m) and Germany (over 1m) account for more than half of the world’s wealthy. Of the 12 countries with the most super-rich people, only Brazil failed to swell its numbers last year, as its economy slowed. North America reclaimed its position from Asia-Pacific as home to more extremely wealthy people than any other region, but its lead is unlikely to last, as Asia has many of the fastest-growing economies. Fitzgerald: The rich are different than you and me. Hemingway: Yes, they have more money. Hemingway: I am getting to know the rich. Colum: I think you’ll find the only difference between the rich and other people is that the rich have more money. 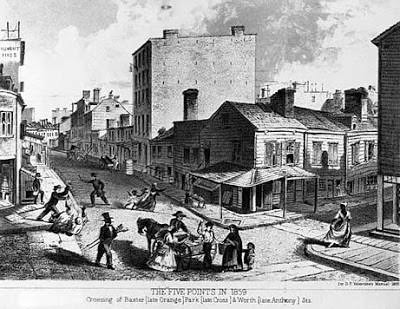 As we rub two pennies together, we might recall that it was on this date in 1819 that the first “Savings Bank” in the U.S., The Bank for Savings in New York City, opened in the Old Alms House (also known as The New York Institution) in the Five Points neighborhood in Manhattan. I use the term because that’s what most people, my own parents included, call me. Fun Fact: the term “Luddite”, although it has now come to mean one who fears and resents progress, originally referred to a movement that developed during the first Industrial Revolution in the factory towns of Northern England where workers feared that new technology would threaten their livelihoods. They weren’t anti-progress; they were just pro-humans. 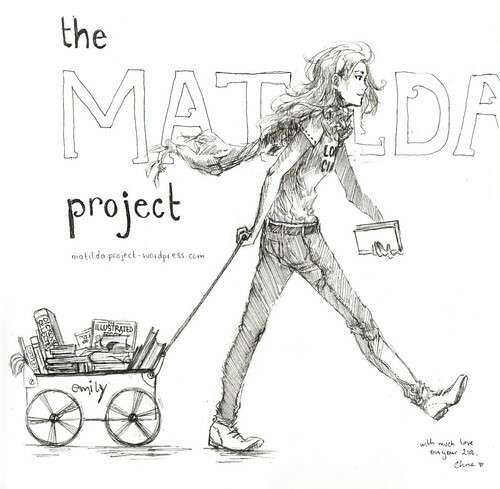 She has turned her passion for books and bookshops— “the joy of book-hunting, of going in with no idea what you want and finding that hidden gem or that old favourite recalled from a foggy memory”– into a calling: The Matilda Project. Emily wanders London, finding and reporting on the independent book stores that graces its streets. From The Southbank Book Market to Stoke Newington Bookshop, she delivers “by a book lover, for book lovers” reviews and rankings. It’s altogether enchanting– and inspiring. For while Emily’s is a disciplined London-specific focus, her example could– and surely should– be replicated worldwide. As we delight in the feel of yellowed pages between our fingers, we might send modern(ist) birthday greetings to Nancy Woodbridge Beach (or, as she was better known later in life, Sylvia Beach); she was born on this date in 1887. An American expat in Paris to do bibliographic research, Beach met and fell in love with Adrienne Monnier, one of the first women in France to own her own bookstore. Inspired by her partner, Beach open a small English-language bookshop at 8 rue Dupuytren (in the 6th); she called it Shakespeare and Company. The shop quickly became a gathering place for both French and American writers, and succeeded sufficiently that Beach had to move to larger premises across the street. She made occasional forays into publishing (e.g., when James Joyce couldn’t find an English-language publisher for Ulysses, Shakespeare and Company put it out). Beach’ memoir, Shakespeare and Company, recounts her experiences with Joyce, D. H. Lawrence, Ernest Hemingway, Ezra Pound, T. S. Eliot, Thornton Wilder, André Gide, George Antheil, Robert McAlmon, Gertrude Stein, Stephen Benet, Aleister Crowley, Harry Crosby, Caresse Crosby, Berenice Abbott, Man Ray, and many, many other icons of Left Bank intellectual and artistic life in the years between the two world wars. 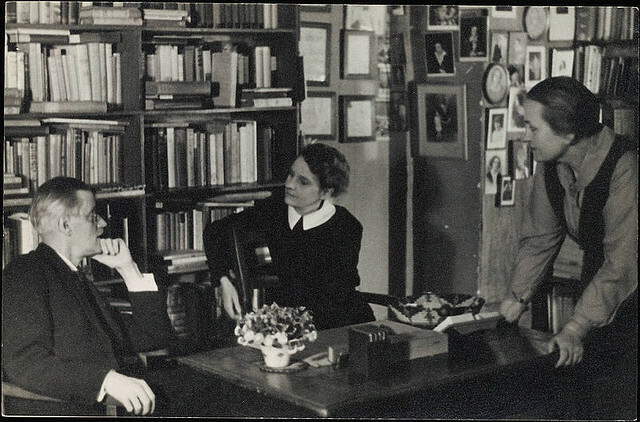 Shakespeare and Company was closed during the German Occupation of Paris; Beach was interned for 6 months, but hid her books in a vacant apartment above the store. When the war ended, Hemingway symbolically “liberated” the store; but it never re-opened. The Shakespeare and Company that operates today (as featured, e.g., in Richard Linklater’s and Woody Allen’s films) is a different operation, in a different location, renamed in 1964 “in honor” of Beach and her creation. Lastly, she pictured to herself how this same little sister of hers would, in the after-time, be herself a grown woman; and how she would keep, through all her riper years, the simple and loving heart of her childhood; and how she would gather about her other little children, and make their eyes bright and eager with many a strange tale, perhaps even with the dream of Wonderland of long ago; and how she would feel with all their simple sorrows, and find a pleasure in all their simple joys, remembering her own child-life, and the happy summer days. 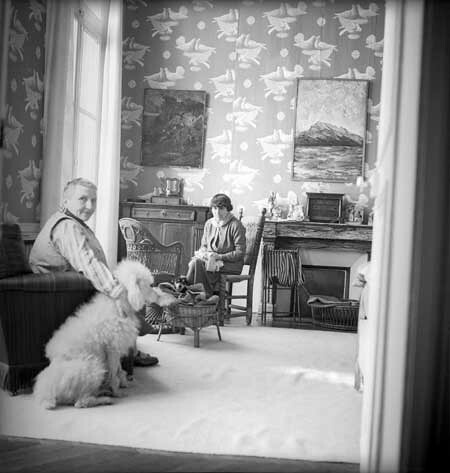 As we reach for our library cards, we might recall that it was on this date in 1910 that Alice B. Toklas moved in permanently with Gertrude Stein. The two women turned their Paris home (22 rue de Fleurus) into an artistic and literary salon, where they hosted Picasso, Matisse, Hemingway, Fitzgerald, and many others– several of whom appear, with Ms. Stein herself, in the lists above.